Twitter’s new video service is more than a fun app, it can be good for your business. For more than 15 years as the web evolved, writers told stories and communicated their ideas through blog posts. While many bloggers stretch their legs and produce columns of 1,000 words or more, Matt Mullenweg of WordPress has said that the average post has remained constant at about 280 words. — Then Twitter came along in 2006 and suddenly we were challenged to condense our thoughts down to 140 characters and share them socially. — In the last decade technology within Digital SLR cameras has grown dramatically, enabling aspiring photographers to take 20 megapixel photos even with consumer-level models. — Once again we learned to simplify, as 100 million active users fell in love with Instagram, adding filters to millions of photos a day from their mobile phones. So in a world where YouTube is receiving 1 billion users per month, it’s no surprise that the mobile-social-simple trend has come to video as well. It’s called Vine, and businesses are starting to take notice. 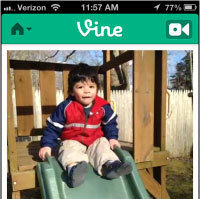 Vine is a mobile app that lets users capture and share a 6 second looping video. The company was acquired by Twitter in late 2012 and launched in January 2013, and was one of the top free apps in the iTunes store in April. Vine also followed another interesting adoption path that any shiny new service seems to take, from shoulder-stabilized VHS cameras to handheld Flip Cams to thumb-operated smart phones. First, there were the pictures of kids. Give any parent the ability to film their child, and you’ll get an instant archive of babies burping and toddlers tumbling. Next come the cats. It didn’t take long for a site called Vinecats to pop up, specifically dedicated to cat videos filmed on Vine. Not far behind is adult content. Just a few days after Vine’s launch, a not-safe-for-work video mistakenly got featured as an Editor’s Pick (blamed on human error). While they’ll probably always be an ongoing battle of users uploading risqué content and the company removing it, it seem like less of a problem at the moment. From here, people start to get creative. Vine turns out to be a fantastic vessel for stop motion video, and some truly amazing results have started circulating. Artists, storytellers, and comedians are harnessing the service to make people laugh and be inspired. The Tribeca Film Festival even had a call for entries, receiving more than 400 six second “films” and awarding $600 (“a Benjamin for each second”) to six winners. Finally, people started using Vine for business purposes. As always, a few brave early adopters have rushed to this new platform and jumped into unknown waters headfirst. Here are a few examples. Whether you’re launching an eagerly-awaited summer blockbuster or have a new product launch every two weeks, everyone likes a sneak preview. James Mangold, director of the movie The Wolverine – set to launch in July 2013 – released a six second Vine trailer, which he called a “tweaser.” Two days later the full movie trailer was released. Over in the print world, Rolling Stone magazine runs a feature called “Guess who is on the cover,” revealing just enough of the front cover in a Vine video to keep readers guessing. – The Demo Six seconds is surprisingly enough time for a speedy “How-To” video. If you have a product that is easier to watch than describe, this might be for you. Cadbury chocolate has a delicious video showing how to consume their “Egg ‘n’ Spoon” delicacy. Meanwhile Bacardi Rum demonstrates three simple steps to making a “Blonde rum and Coke”: Ice+Bacardi+Sprite. If there’s one thing we know about social media, it’s that the appetite for content is insatiable. Have a great post, a great tweet, and a great photo to share on Facebook and Twitter and Tumblr and Pinterest? Awesome. Now we need more. Day after day after day. 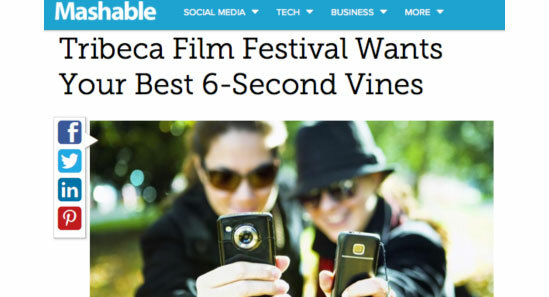 Vine gives marketers another outlet for creating quick and digestible content that can be shared. Editor/Critic Ron Charles from The Washington Post breathlessly summarized his latest book review in just half a dozen seconds, while (stay with me here) a mariachi band for Doritos plays name that tune with 80s songs for the chance to win Easter prizes. 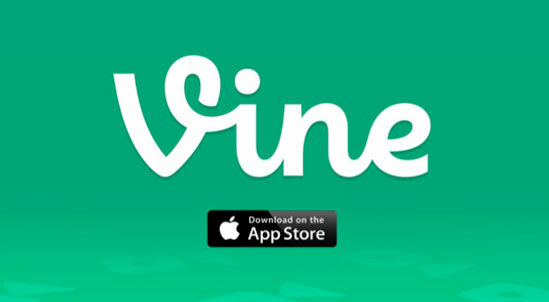 So, is Vine the next evolutionary step in your company’s marketing plan? You’ll want to match the strategy to your brand, but if the mobile-social-simple trend is here to stay, you’ll want to check it out. A college friend once left me with a quote I’ve never forgotten: “Never say no to a road trip.” So it’s with that in late May that I climbed into my car to go exactly 700 miles from New York City to Asheville to visit another college friend. How can I just leave my business for so long? I don’t. I can access Freshbooks billing on the road from my iPhone, my iPad, and my laptop. The only thing I have to worry about are over eager traffic cops. This entry was posted on Tuesday, May 28th, 2013 at 10:47 pm and is filed under Branding / Advertising, Marketing Case Studies, Pop Culture / Entertainment, Social Networking / New Media, Twitter, Workplace Trends. You can follow any responses to this entry through the RSS 2.0 feed. Both comments and pings are currently closed.